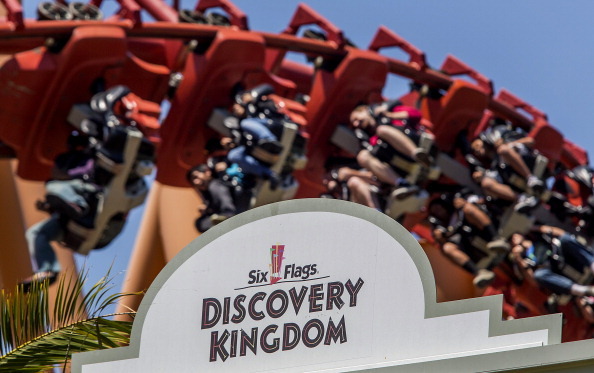 Saudi Arabia has begun talks with Six Flags Entertainment Corp to build theme parks, the company said on Tuesday, as part of the kingdom’s efforts to expand its tourism sector and diversify the economy. U.S.-based Six Flags has started talks with the Saudi government to build parks in the kingdom following recent meetings with Prince Mohammed, the company said in a statement. However, Dubai’s ruler Sheikh Mohammed bin Rashid al-Maktoum, who owns Meraas, announced in a separate statement on Tuesday that Dubai Parks would waive its right to exclusivity in Saudi Arabia. Saudi Arabia, home to the holy city of Mecca, welcomes millions of tourists for religious purposes every year, but non-religious foreign tourists are extremely rare. Any Six Flags park, however, would likely mostly serve the kingdom’s estimated 28 million citizens, of which about two-thirds are under 30. It is unclear whether the company would tailor its rides, which include water slides, to Saudi’s social codes. Dubai Parks’ CEO Raed al-Nuaimi told Reuters on Monday that his company had no immediate plans to develop other Six Flags parks in the Gulf. His company’s Dhs 10.5bn ($2.9bn) main complex is due to open in Dubai in October. It will include Legoland, Bollywood and Hollywood-inspired theme parks, plus a water park and a hotel.